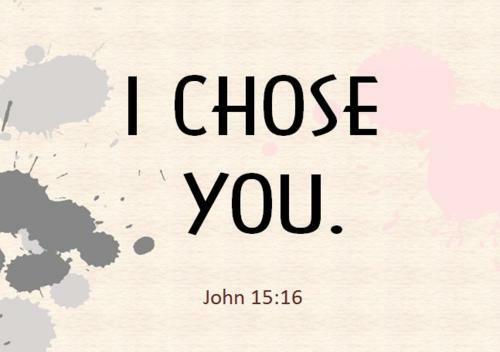 Thanks for the reminder that God chose me and God chose you. He chooses us individually. It is especially comforting just before Valentine’s day otherwise known as “Single Awareness Day.” It would be nice to have a man to choose me as his Valentine, but God has already chosen me. Thanks again for the encouragement. It’s interesting how one thought leads to another. Your thoughs caused me to think of a verse I thought was in Isaih, but I searched and never could find it. I found the other encouraging verses listed above instead. Happy Valentine’s Day.